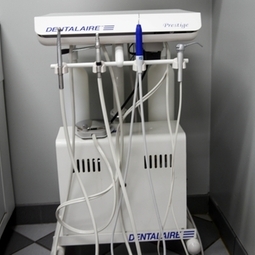 Providing the proper dental care to our patients is very important to us. We are able to provide in house dental cleanings and extractions. Bacteria in the mouth and around the gums can cause heart and kidney problems. Bad breath isn't just a bad smell, it can also be a sign that something is wrong. Most dogs/cats need a dental cleaning once a year to prevent the build up of plaque and tartar. Happy Teeth Makes For A Happy Pet!